What Kind of Filling Is Right for You? If you have a cavity, one of the facets of your treatment plan that your dentist will review with you is the material used for your filling. 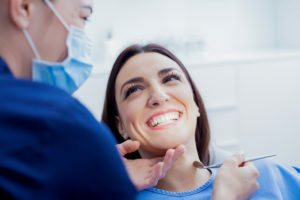 Gold, porcelain, and composite are all common options for dental fillings, and now, ceramic and plastic materials that look like your natural teeth are also popular choices. When choosing the right material for your filling, your dentist will discuss several factors with you. One important consideration is how much of the tooth will need to be filled. If the filling is large, a natural-looking filling material is often preferred. The location of the tooth also matters. Teeth in the back of your mouth that are less visible may be better suited to fillings that don’t mimic the appearance of natural teeth than those in the front of the mouth. The chew load of the tooth is also a consideration, as are your personal preferences. At Park 56 Dental, we specialize in providing patients with high-quality dental care that helps them look and feel their best. If you need a dental filling in NYC, you can make an appointment by calling (646) 783–3529.